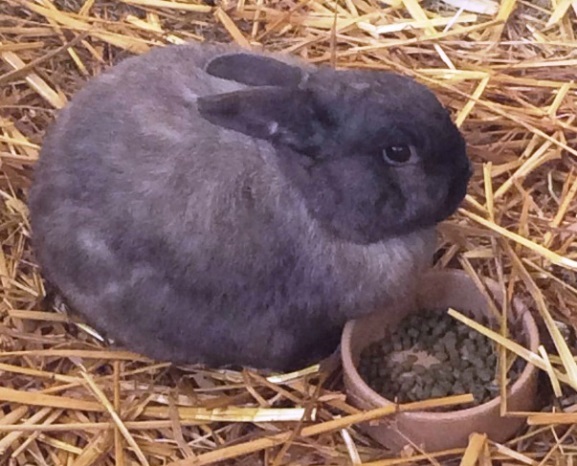 The rabbit – Britain’s unloved pet? Rabbits are one of Britain’s top five most popular pets (PFMA, 2013) yet recent research (PDSA Wellbeing report 2013) has shown that they are often not kept in appropriate conditions, and hundreds of rescue centres all over Britain take in unwanted pet rabbits each year. New research being carried out by research staff at Moulton College & the University of Northampton is investigating how BIG Britain’s bunny problem is. Rabbit Rehome, just one online directory for rescue centres, listed 246 centres that take in rabbits. Camp Nibble, located in West Leeds, is one such rescue centre, where the dedicated team take in rabbits that have either been, given up by owners, neglected or abandoned and in the last year they took in 153 rabbits. 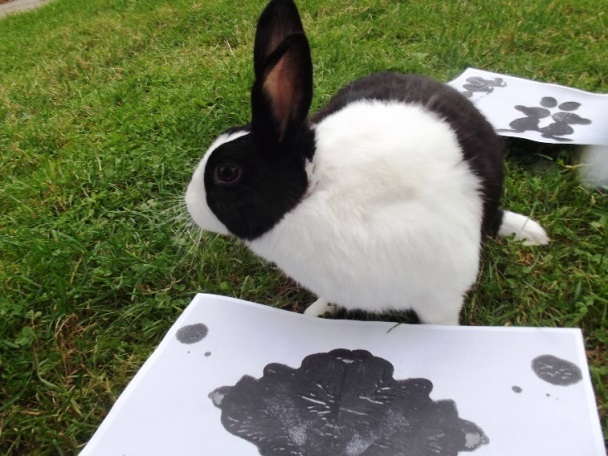 Figure 3: Dutch rabbit and inkblot (personality) test. Photo: C Ellis 2013. The current research is investigating the scale of the problem and the reasons why rabbits are given up by their owners. Understanding why people decide to give up their pet rabbits is the first hurdle. For many it will no doubt be a difficult but unavoidable decision. The hope of this research is to better understand the circumstances that cause rabbit –owner relationships to break down. However by focusing on rescue centres alone we may be missing part of the picture. Members of the public are being invited to take part in this research by completing a quick and simple online survey. The main aim of the survey is to identify other places people may use to give up pets, such as friends, family members or online adverts. Anyone that currently owns, or has previously owned any pet can take part. Figure 2: Clare Ellis & Rex cross rabbit. Photo: Learning Materials team at Moulton College. Britain’s BIG Bunny Study’s public survey launched on 14th April in time for the Easter bunnies arrival, and continues through to National Rabbit Awareness Week in May (10th – 18th May). 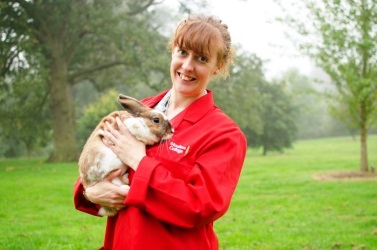 Posted on April 23, 2014, in Moulton College, News and tagged Clare Ellis, Moulton College, Postgraduate Research Student, Rabbit research. Bookmark the permalink. 1 Comment.